Each year dangerous or defective products that cause serious injuries or even death are sold to Georgia consumers. At McGarity and Efstration, our lawyers are experienced in the litigation of product defect cases involving a variety of defective products. We believe that when goods are sold to the public, they should be safe and suitable for their intended use. When there is a failure to provide a safe product, we are ready to fight for your right to recover for your injuries and the damages you have suffered. When you consider the vast number of parts it takes to assemble an automobile, a defective part could likely have played a part in your injury or the wrongful death of your loved one. At McGarity and Efstration, we can help you determine your legal options. Defective medical devices. Although medical devices have revolutionized healthcare, when they are defective, these devices can have catastrophic consequences. Products such as Infuse bone grafts, Sulzer hip replacements, transvaginal placements of surgical mesh, faulty pacemakers or heart valve implants, and malfunctioning insulin pumps are examples of areas in which medical devices can lead to serious injuries and a products liability lawsuit. Prescription drug side effects. Pharmaceutical liability cases often receive significant publicity. Examples include matters related to Accutane, Isotretinoin, Actos, fentanyl pain patches, Yaz and other dangerous medications. Our legal team is fully equipped to assist you with claims related to the harmful side effects of using these medical devices or drugs. In a case involving products liability, an injured party can argue that the harm was caused by reliance on certain promises or warranties made by the manufacturer or seller of the item, which turned out not to be true. A breach of warranty claim can be based on either an express warranty or an implied warranty. An express warranty is one explicitly stated (usually in writing) from the manufacturer or seller to the consumer. An implied warranty is based on the reasonable expectations of the buyer. One of our personal injury lawyers in Atlanta can you determine if your injury is the result of a breach of warranty. 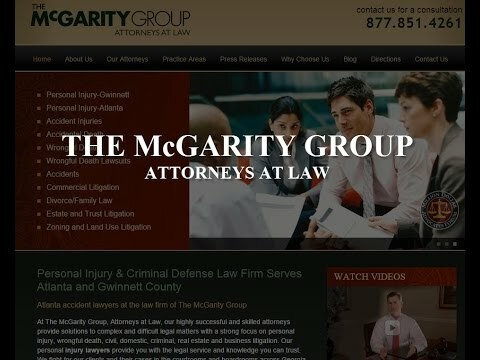 Contact McGarity and Efstration online or at 877.851.4261 for a free consultation with a recognized leader in personal injury litigation. We give you a fair and accurate assessment of your case, explain your options and help you get started on the road to recovery. Our legal services are offered on a contingency fee basis, which means you don’t pay if we don’t win your case.